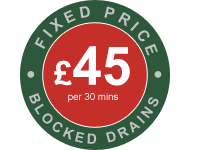 AlfaClear Drains engineer’s are on hand 24/7 to fix any plumbing problems that you may face. Nothing is to big or too small for AlfaClear and our experts are available to fix those dreaded leaks, burst pipes or stuck taps quickly and efficiently. Need an emergency plumber in ealing or surrounding areas in London? – then Call us Now on 0800 298 0040 / 07973 718066 if you have an emergency that needs fixing quick.